Help Steve, a fearful clerk working in a local super market, to survive his work week! 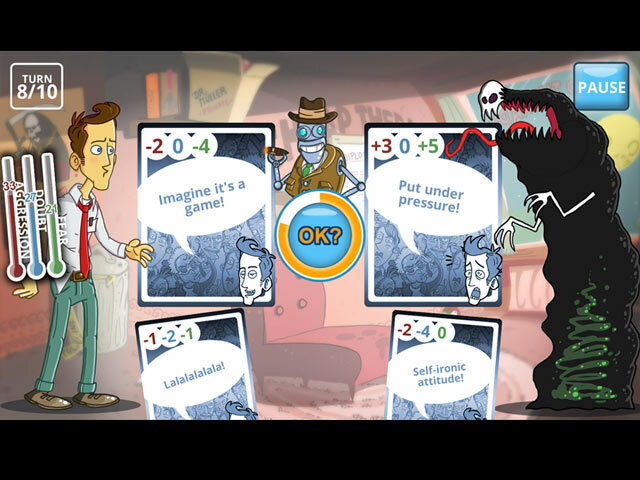 Face the challenges of everyday life in over 40 comic levels: Strange mothers, complicated girlfriends, dangerous youths, aggressive bosses and... your own fear! 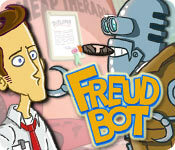 The wonderful and unique FreudBot, robotic psychoanalyst, will teach you to beat aggression, doubt and fear. 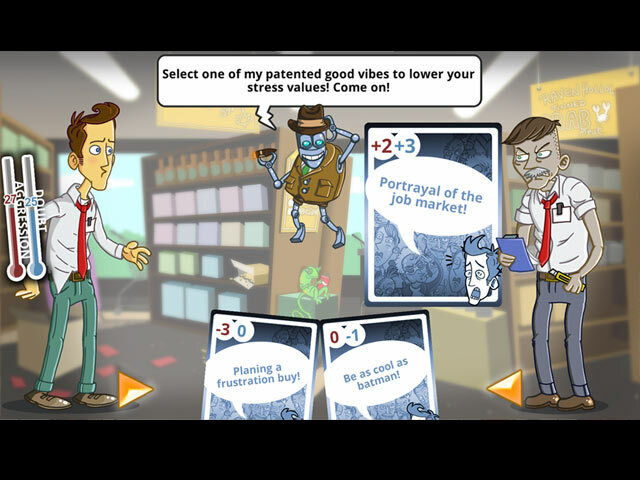 Can you handle over 100 bad vibes and take control again of your puny human existence?